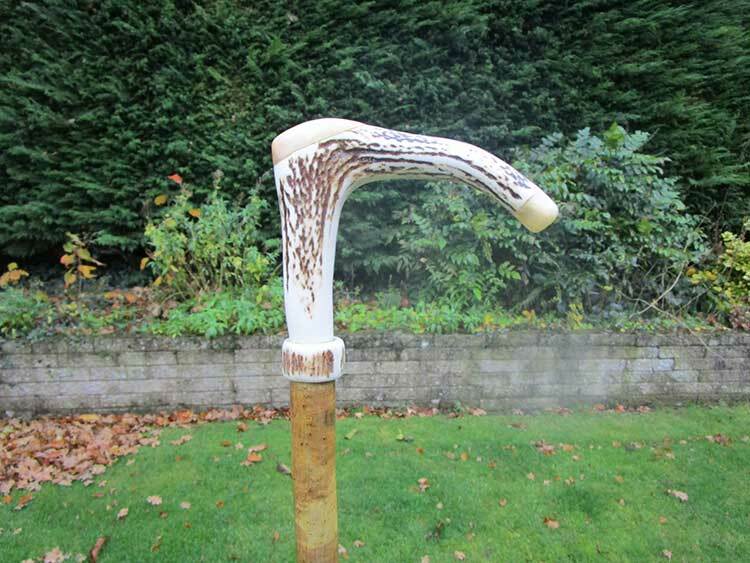 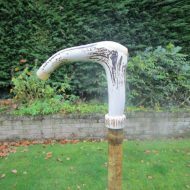 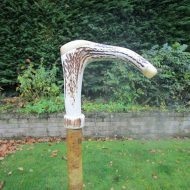 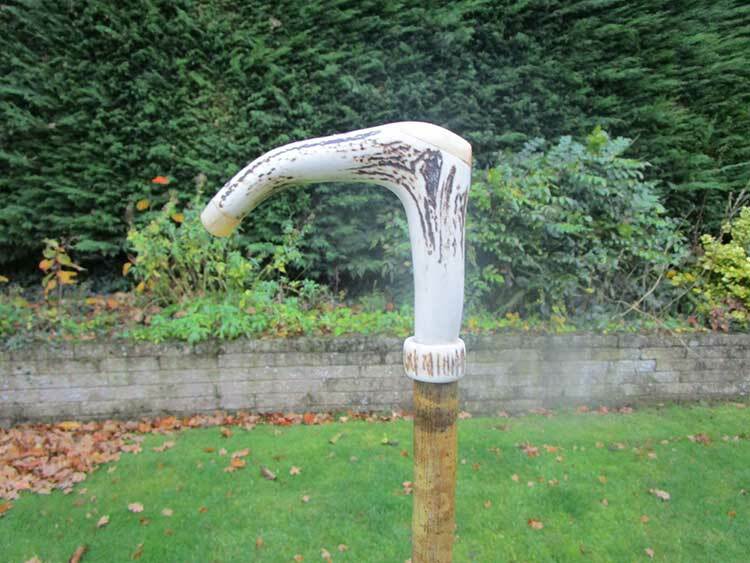 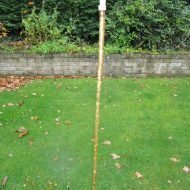 Home › Walking Sticks / market sticks › Stag antler coronet walking stick. 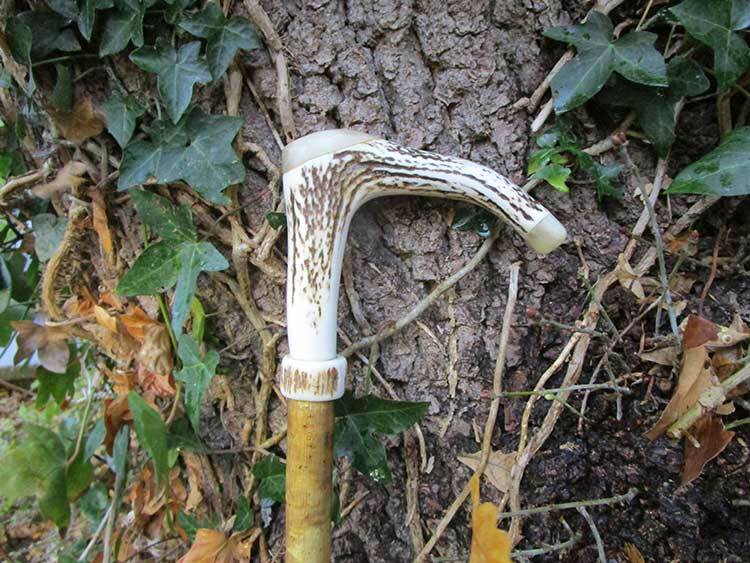 Good quality stag handle with decorative antler collar and rams horn caps. 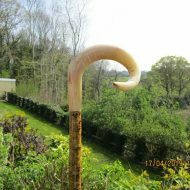 Fitted to a beautifully mottled hazel shank with brass ferrule. 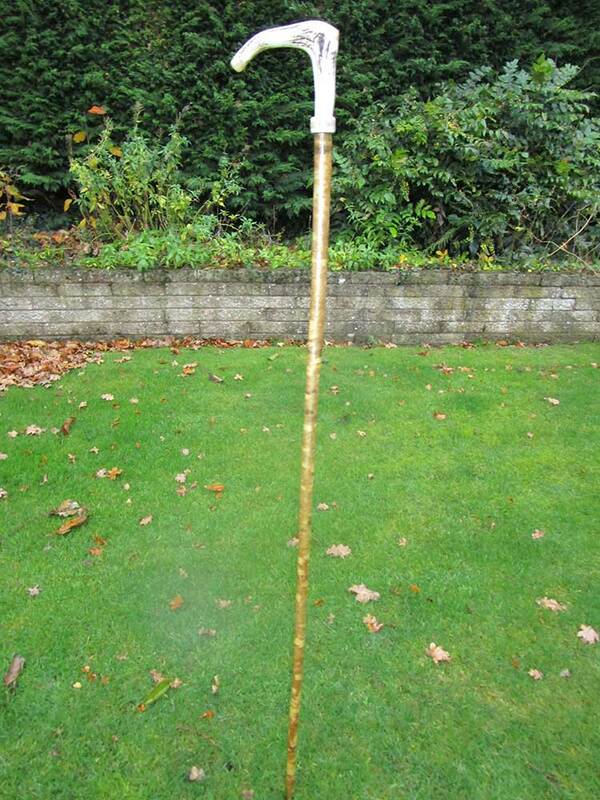 Total length is 54″. 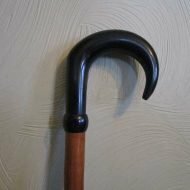 Can be shortened.